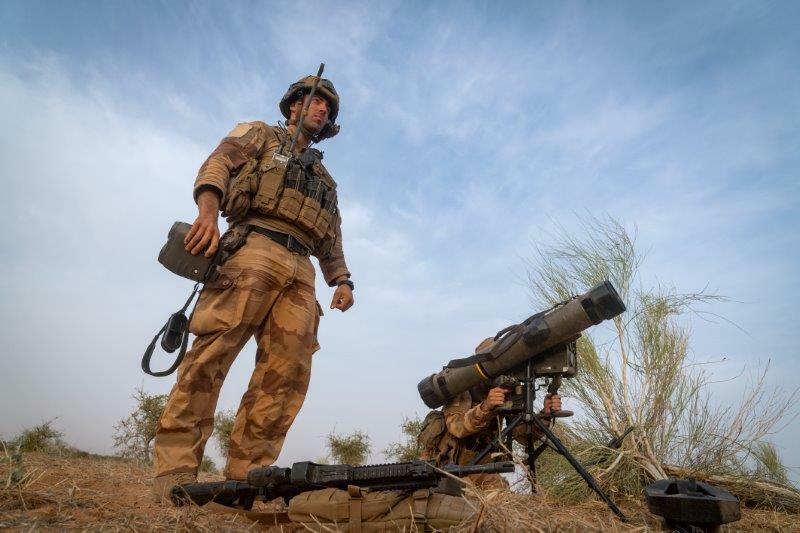 From 10 to 22 December, the Picardy Battle Group conducted an operation in the three-border region in the south-east of Mali, during which the new medium-range missile (Missile Moyenne Portée or MMP) was deployed and used for the first time in a combat theatre. Arriving in the area of operations at dawn, the soldiers of the Picardy Battle Group leap out of their armoured vehicles and set about their separate tasks of installing the MMP at the top of a ridge. Each member of the crew of six performs a clearly defined role: commander, gunner, loader, rear gunner, radio gunner or driver. Before being sent out to the theatre of operations, Sergeant Nicolas and his gunner received specific training on the MMP at Draguignan Infantry School. A major innovation, originally developed for the French Army’s infantry and light cavalry units, the MMP is the successor to the Milan system. Having now been deployed for the first time in an operational setting, it will gradually be rolled out to most front-line units.